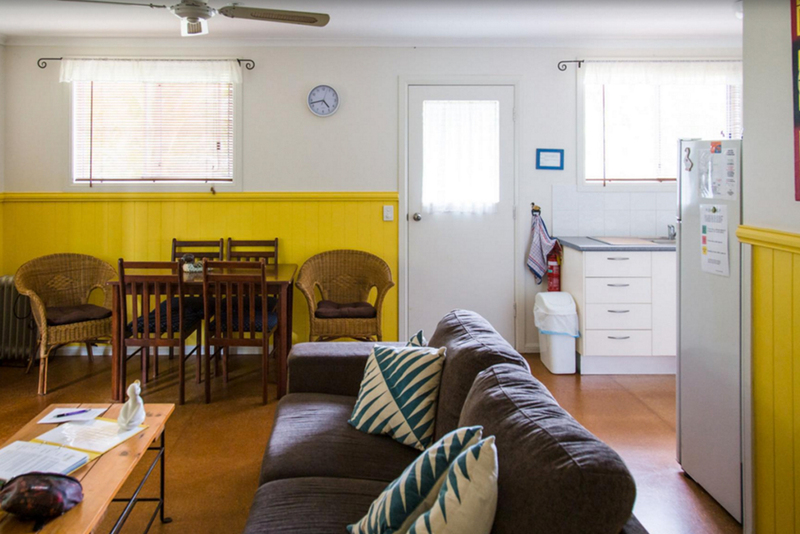 If you’re looking for accommodation near Coffs Harbour for your next holiday or simply an overnight stopover, why not come and spend time with us at Safety Beach Bungalows. 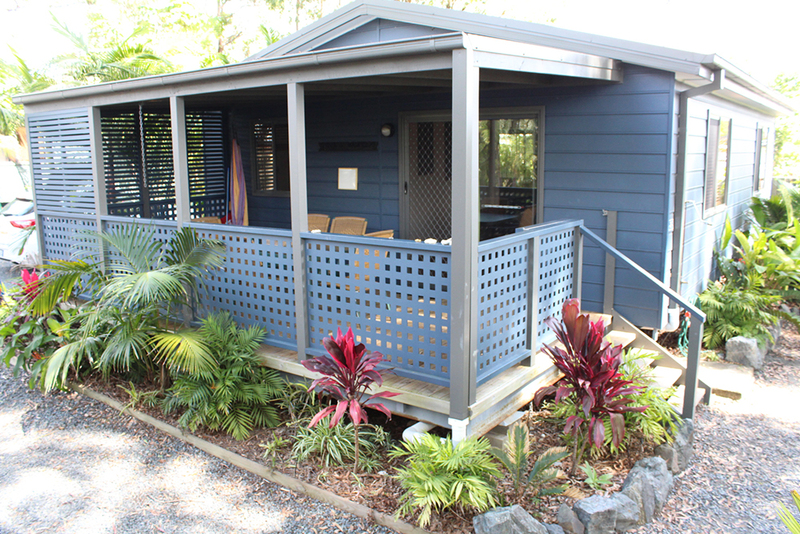 Your hosts Kelvin & Colette will ensure you have a fantastic stay in one of our 5 self-contained bungalows. Enjoy FREE Wifi, games, books or relax in a hammock on the deck. A little bit of paradise! 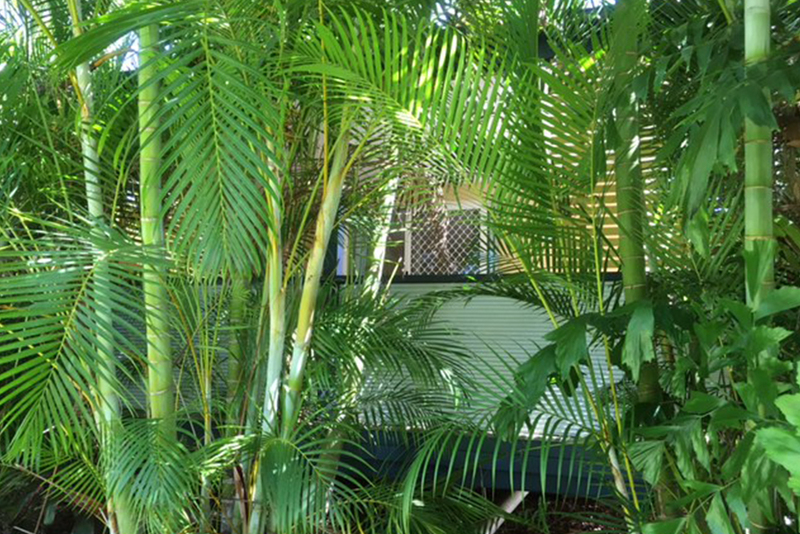 The bungalows are surrounded by tropical gardens, with amazing bird life and our local mob of visiting kangaroos! Just 2 km north of Woolgoolga (near Coffs Harbour). If you’re looking for pet friendly holiday and self-catering accommodation in beautiful Safety Beach, come and spend time with us! READ OUR LATEST GUEST REVIEWS. 2 bedroom standard bungalow sleeps 5. Lose yourself in a tide of tranquility in Seascape. 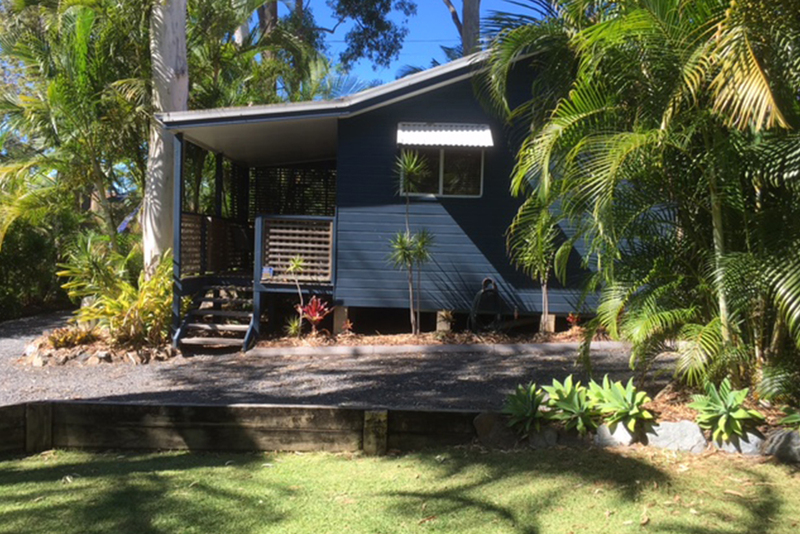 2 bedroom deluxe bungalow sleeps 5. 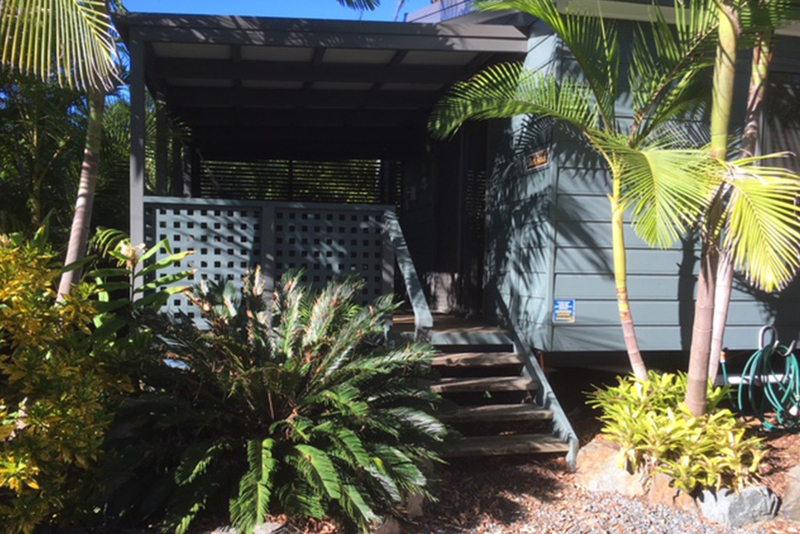 Beautiful 2 bedroom deluxe bungalow sleeps 5. 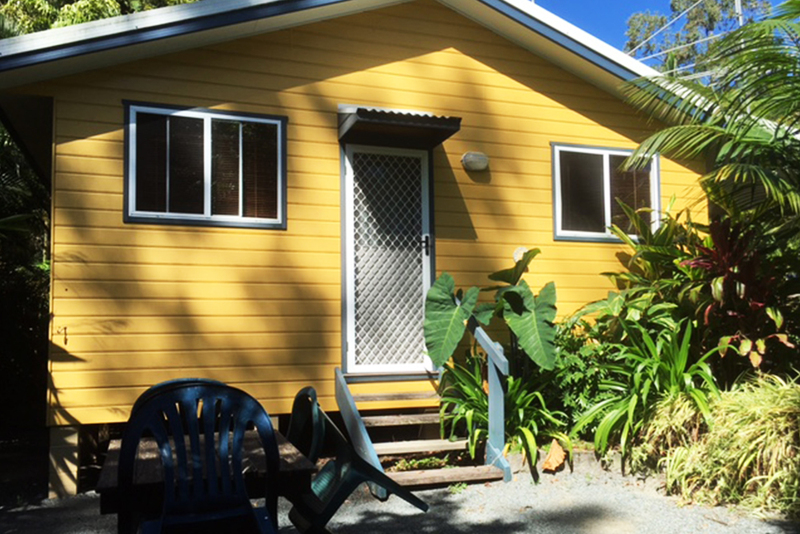 Self contained studio with 1 queen size double bed, a sofa bed and a spa bath. Don’t leave your pets at home. Bring them with you. Well behaved dogs, cats and caged birds can stay in our bungalows (sadly, elephants and giraffes must remain outdoors at all times!). WE LOVE DOGS & OUR BUNGALOWS HAVE EVERYTHING THEY NEED. 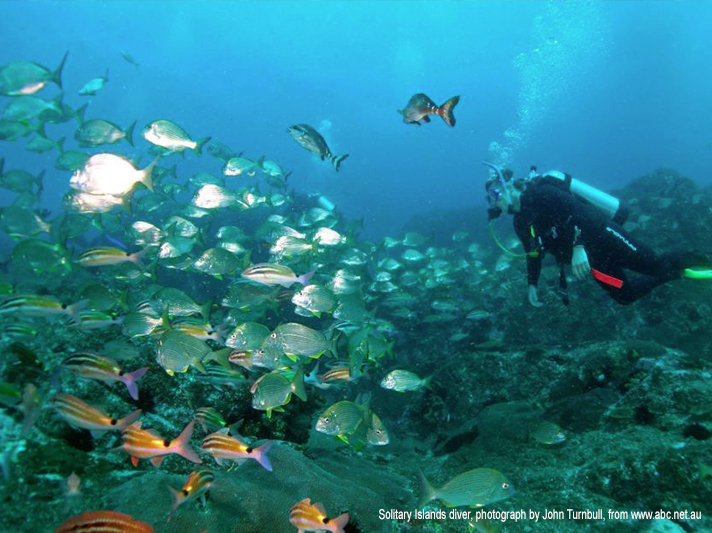 You will be spoilt for choice, with fantastic activities for all the family and fun things to do near Coffs Harbour & Woolgoolga – right on the doorstep of Safety Beach Bungalows. 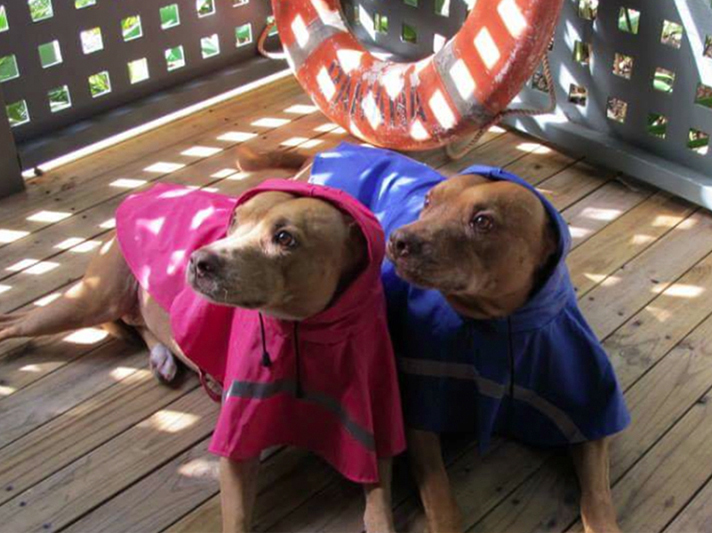 We would love to have you stay at our award winning, pet friendly accommodation near Coffs Harbour.